The Dream Playground opened Sunday at Lake Manawa in Council Bluffs, to give children of all abilities a safe place to learn and grow. The 18,000 square foot playground is the largest ADA compliant playground in the state of Iowa. The project was largely community funded and community built. A grand opening celebration was held Sunday afternoon with a ribbon cutting. 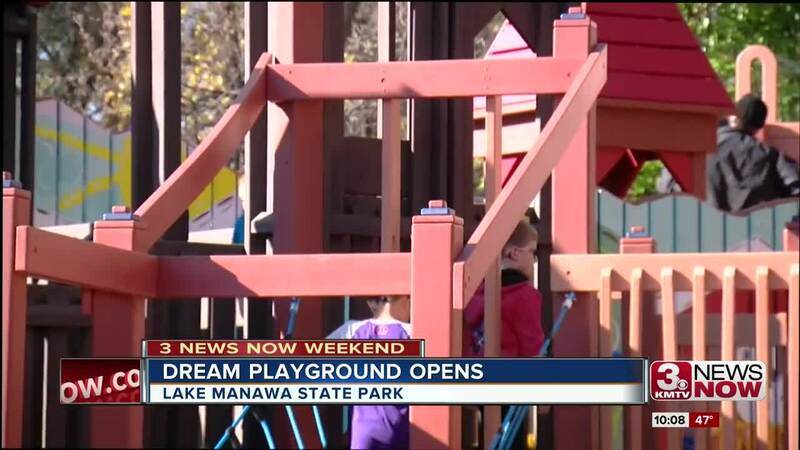 The Dream Playground is located near the swimming beach at Lake Manawa State Park in Council Bluffs.